Crescent Heights Custom Built Home Third of an ACRE. 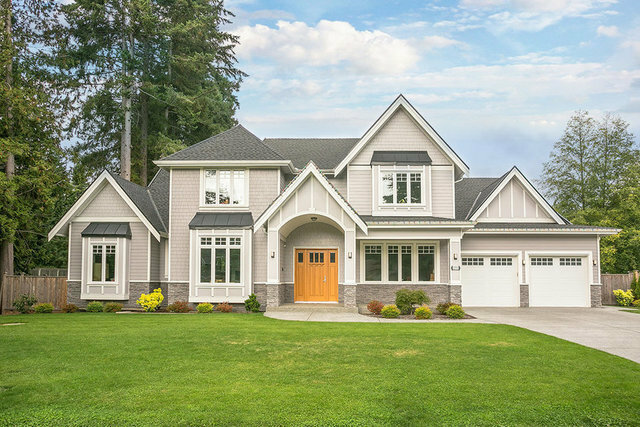 Crescent Heights South Surrey, exceptional custom build 2015, 5 bedroom home by German builder Oslo Homes. Ten foot ceilings on main, 2,590 sqft with dramatic vaults to 20 foot at foyer. Great room style kitchen, shining quartz surfaces, massive island, steam oven, commercial gas 6 burner w/ grill. Vent-a-hood dual exhaust. Guest bedroom on main+office. Nine foot ceilings on second floor 2,078 sqft. 4 generous sized bedrooms up all with ensuites + laundry up. High efficiency quality building materials, Central A/C, HVAC, solid oak hardwood flooring on both floors, Morrison windows. Fully fenced & landscaped. Excellent parking, easy walk to Crescent Beach & 128 Acre park & transit. Schools: Crescent Park Elementary & Elgin Secondary.